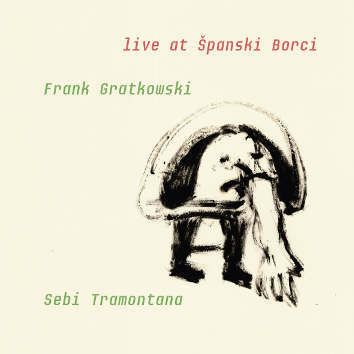 Frank Gratkowski: "The duo with Sebi is very special for me. It has a beautifull playfullness and lightness. The connection between us is almost mysterious and he makes me play very different than I do in other formations. I call it "instant songs" where each "song" tells its own little story." Sebi Tramontana: "Frank has got "wonderschuhe." What I have wished for me for years. Frank is a true "cominante " for me. I am very grateful that during the last 19 years I have been meeting him every now and then. Frank is a bottomless pit, human and artistic."